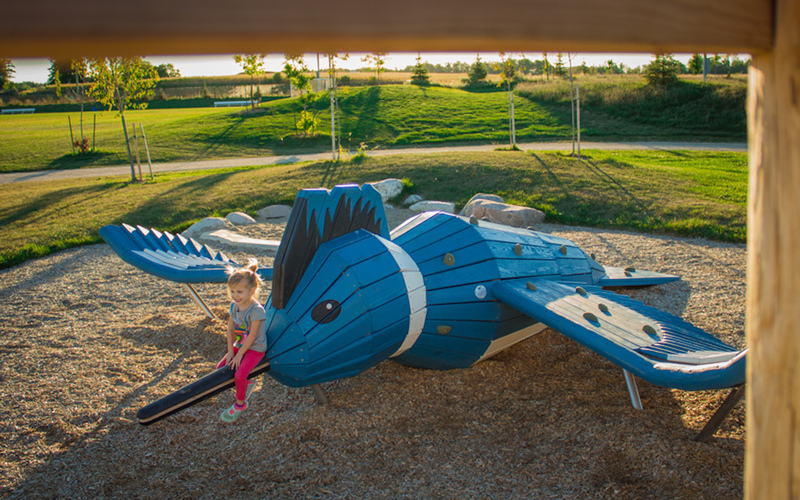 Over half of the Westmount site is a restored natural wildlife corridor, thus the main motivation behind the design program for the Westmount Park play area was the incorporation of environmental education and awareness into the site plans. 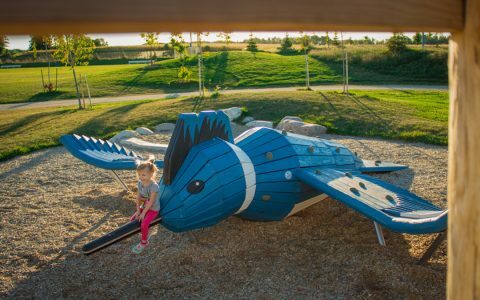 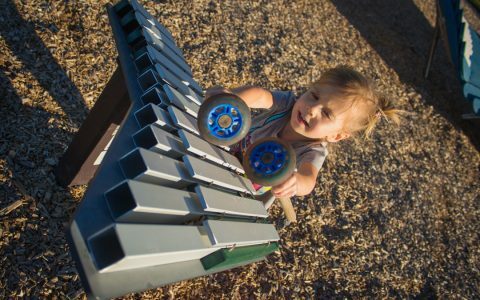 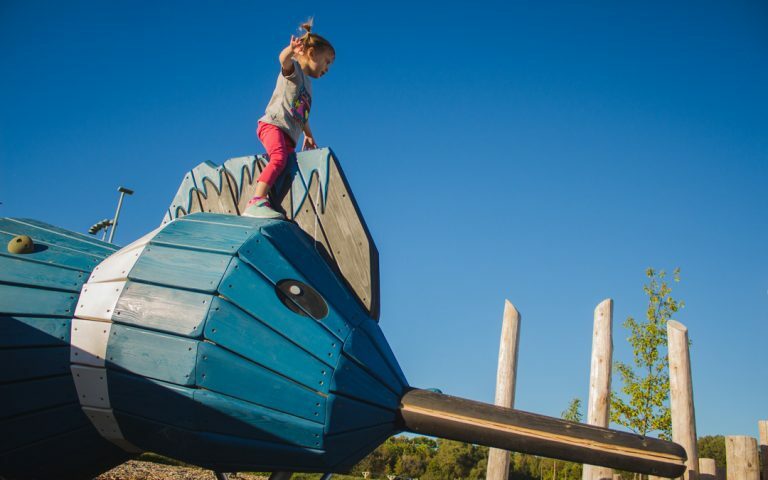 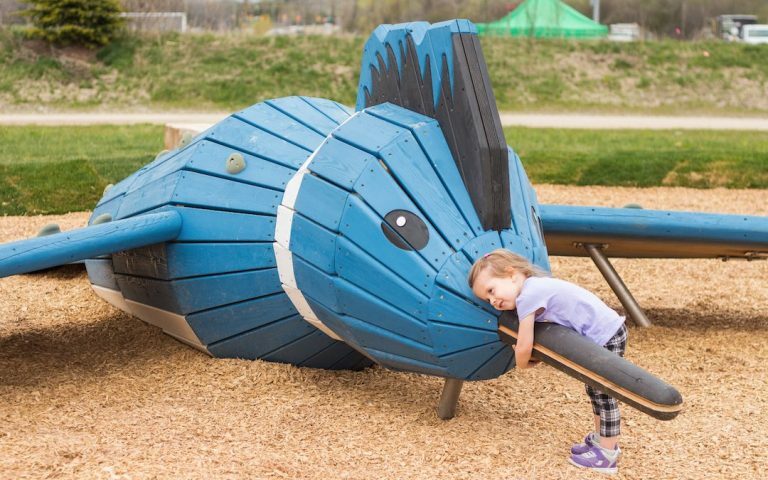 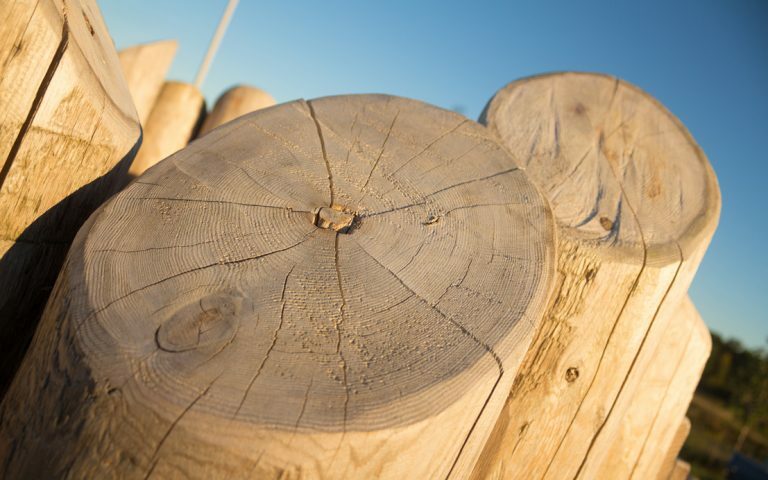 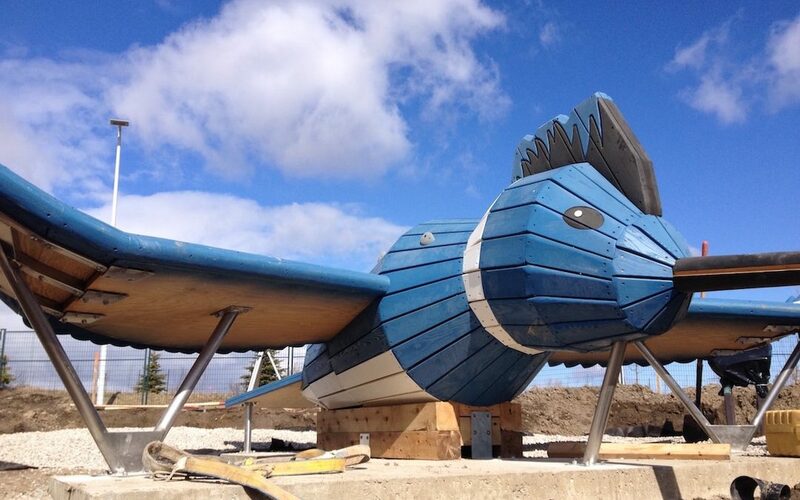 The city required the use of durable natural materials and chose an avian theme to connect the environmental focus to produce a long lasting and exciting play space. 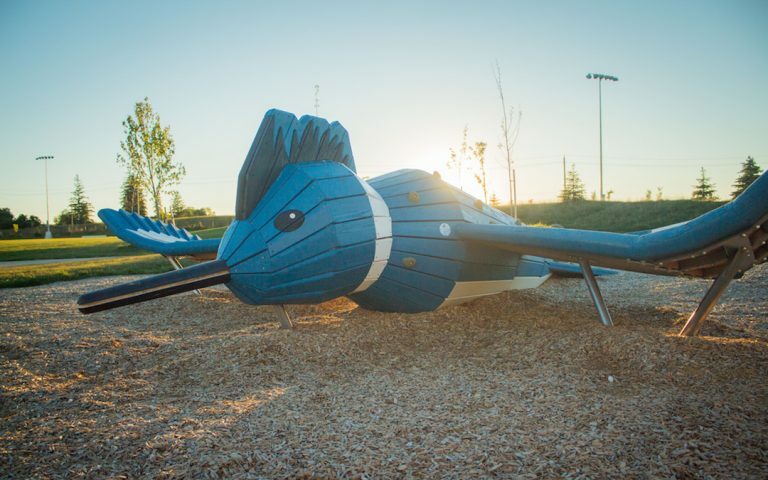 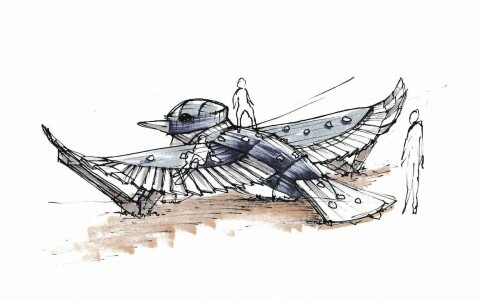 The avian theme was brought to life by the design of a large, wooden, playable Kingfisher sculpture that has taken flight with outspread wings. 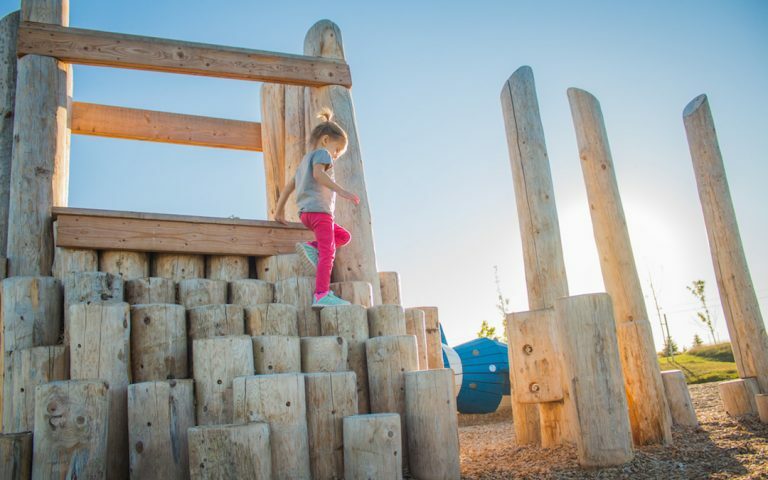 A nearby sandbox “nest” defined by boulders continues the avian narrative while upright logs imitate tall reeds and lend a marshlands feel to the play area to reinforce the nature theme. 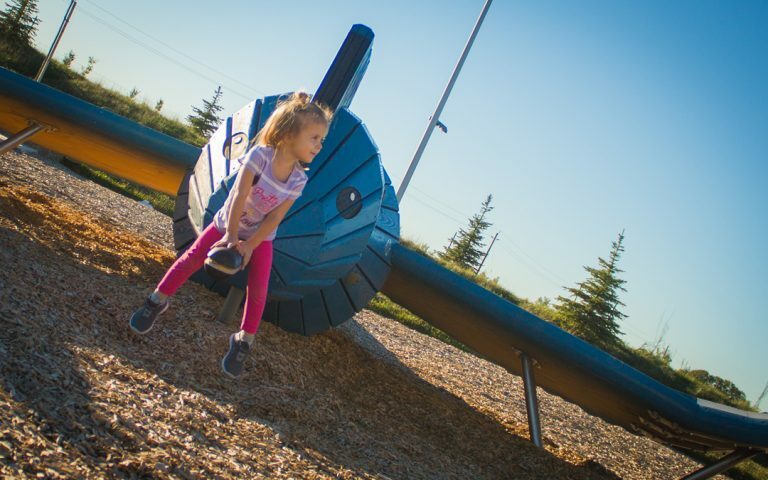 The play space is bordered by a swale filled to the brim with tall native grasses, adding a great visual and acoustic experience as well as separating the play area from the adjacent berm. Armour stone boulders act as stepping stones through the swale and tall grasses, linking the berm and the play area and adding play value. 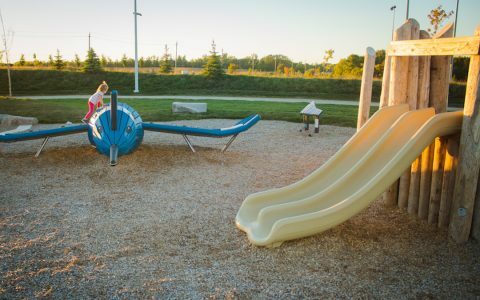 Seating boulders are scattered throughout providing natural rest areas for both play area and sports field users alike. 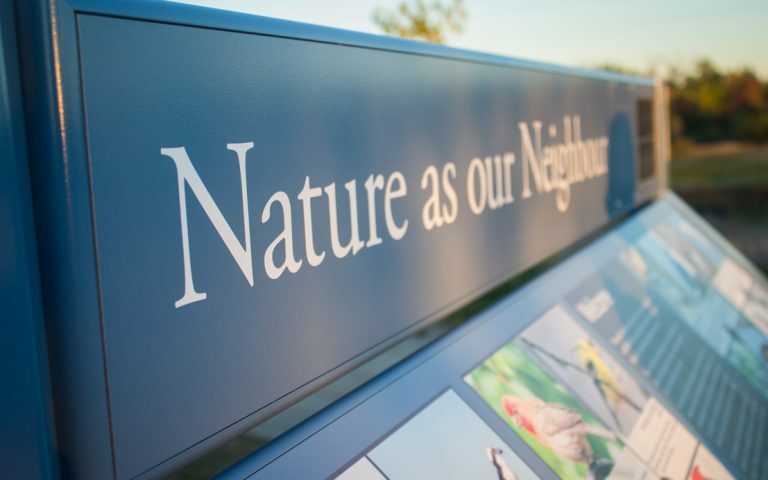 An interactive sign at the play area entrance familiarizes children with the bird calls made by local avian species, including the stunning blue Kingfisher. No results found for the selected filters.